Monday's are tough. But hey, that's why I put up Music Monday posts - come check out some new songs you may not have heard before and simultaneously let the beats inspire you to go forth into the treacherous jungle known as Monday. 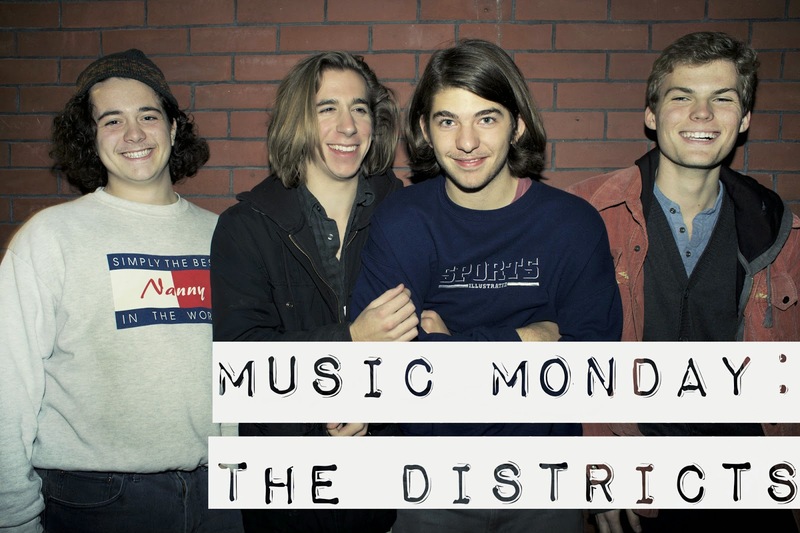 Take a listen to The Districts and my favorite new song from them, 4th and Roebling. They're a group from Pennsylvania and the way a Rolling Stones article describes them is spot on: "...the Districts serve up an impressive EP that straddles the line between imaginative indie rock and brisk blues-inflected folk." Check out some of their other tracks below! Now go forth and slay your Monday with some awesome music backing you up! At first glance, they look like a 90s boyband, haha! need to listen to the music now. another music group i need to add in my list!